Tunisia is a middle-income country where life expectancy is growing, maternal and newborn mortality are down, and contraceptive prevalence is up. But progress is uneven between rural and more industrialized regions. 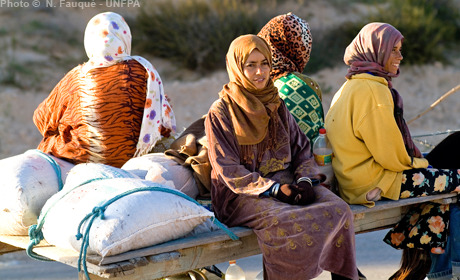 Operating in Tunisia since 1974, UNFPA helps extend reproductive health services, especially in remote rural areas, towards upholding the right of all people to access information and care. Youth and adolescents are a central focus, and UNFPA partners with the Government and civil society to target services to them and involve them in development planning. UNFPA programmes also support the advancement gender equality as a key priority.